Between the implication that MTR opponents somehow want to disconnect electricity from people's homes to the supposed "expert" opinion on the environmental impact of MTR that is offered by an animated bug, the ad is a sad example that some folks will say anything to make their case. The fact that their statements are false and deliberately misleading apparently doesn't matter at all to them. 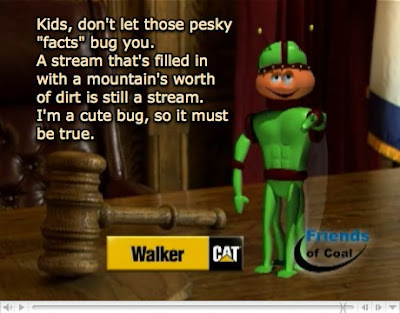 So now Mr. Bug is the new spokesperson spokesbug for Friends of Coal and their cohorts in the coal industry. 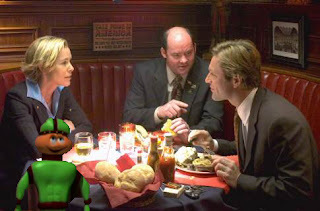 What's the matter guys, wasn't Joe Camel or Nick Naylor available?